So I'm a big fan of jazz. I like all sorts of jazz. From smooth and soulful, to funky and jamming, all the way to deep and atmospheric, I like my jazz. I also like house music, with a similar breadth and assortment of tastes. So it should be no surprise that I love jazzy house music. You can probably hear hints of jazzy flavour throughout many of my mixes, and some are even themed around that style. This episode of the Home with House podcast definitely is. I started putting together this mix with a late night jazz-based theme and arranged an hour of choice jazzy house tracks to mix. However, when I finished the first cut of the mix it just didn't feel right. Whether it was the overall flow, the vibe or just the short abruptness of the whole mix, something about it just left me unsatisfied. So I selected some more jazzy tracks to better fill out some of the transitions and went at it again. However something about it still just didn't feel right. So I slept on it and came back again the next day. This time I poured myself a glass of scotch and took a more fresh and spontaneous approach to the whole thing. I let the groove dictate the track selection and before I knew it I was throwing jazzy house tracks all over the place from my original tracklisting plans. The end result is much more in the real spirit of jazz and I'm finally satisfied with it. I also managed to fill out a 60 minute mix into just over two hours of jazzy goodness. 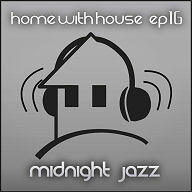 So take a listen and enjoy this journey through jazz house. 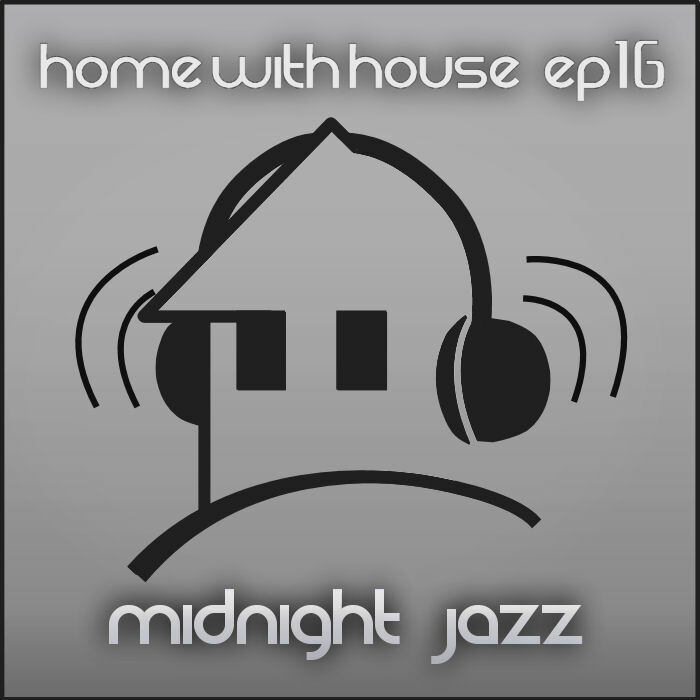 Home with House episode 16 is the first 2 hour mix of 2009 and it's appropriately called Midnight Jazz. Wow! Jazz! I'd like jazz! Thank you for one more wonderful mix! My respect! wow its just getting on 1am here... the opening had me hooked and im still going... ! my early work day tomorrow won't like me... however this mix definitely makes up for it indeed.. The opening guitars are just very um... awesome love to see more in a guitaruy type latiny set.. ! great work again ! ur taste of music is so fine brother.U should come play in SA sometime.im sure ull kill ppl here.great job. Incredible - Love it! You are the man!